Calls are being made for lessons about mental health and body image to be made compulsory in schools in the form of PSHE sessions. As part of a Heart Investigation, nearly two thirds of the people asked in Birmingham admitted that trying to look perfect has had an effect on their mental health. 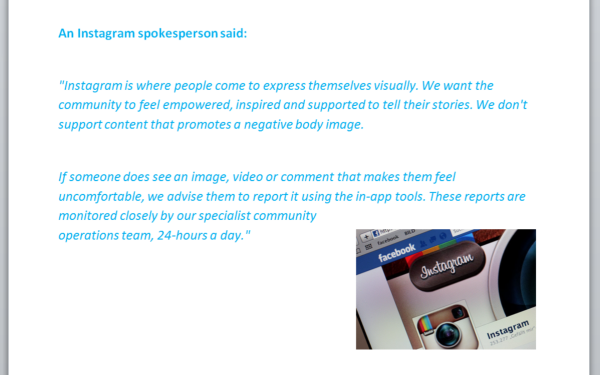 Of the people spoken to during this Investigation, many pointed towards social media, blaming the platforms for society's obsession with looks and being 'liked'. An organisation that wants more done to improve the way young people (particularly girls) think about themselves is Girlguiding UK. They are calling on the government to make PSHE compulsory in all schools to make sure young people understand how to value other attributes just as much as their looks. Heather Widdows is a Philosophy lecturer in Birmingham and has recently finished a paper on the issue of body image. In February, the then Education Secretary Nicky Morgan refused to make 'Personal, Social, Health and Economic Education' compulsory in schools. MP for Birmingham Yardley Jess Phillips has been pushing for this and told Heart she's confident in the newly appointed Prime Minister Theresa May and Education Secretary Justine Greening. We spoke to Jess and put this topic to Justine Greening when she was in the city earlier this month. We want you to get involved on Twitter using the hashtag #BeautyWithin - let us know how you feel about your looks. Would compulsory PSHE in schools help?